People who know me well know that my father, who passed away in 1981, was a firefighter and my personal hero. He was a fierce defender of our family and, though his job made it difficult at times, always supportive of me and my siblings. Over the years I have heard many stories from his years with the department and, as an Explorer Scout, even got to fight a fire with him (OK, I acted as backup on the hose he was using). So, I was excited to get several emails this week about breweries that are honoring the brave men and women who carry on the profession that he loved so much. 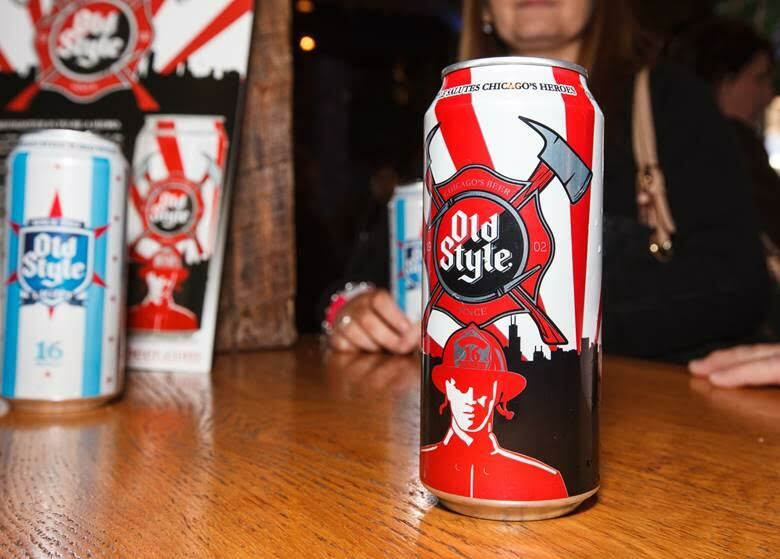 Old Style, often referred to as “Chicago’s Beer,” plan to relaunch the Chicago Heroes can. Depicted on the can is a silhouette of a firefighter and the iconic Maltese or firefighter’s cross in red. The commemorative can supports the people who heroically defend Chicago and their families, with proceeds from each case/can sold benefitting Ende, Menzer, Walsh and Quinn Retiree’, Widows’ and Children’s Assistance Fund. This organization provides annual financial assistance to the neediest widows and orphans of members of the Chicago Fire Department. The commemorative can is the only time Old Style has redesigned the can to support an outside organization. After a successful first run last fall, the team is relaunching the can. This time, the can will be available in 24-packs, 12-packs and 16 ounce cans, with Old Style donating a minimum of $10,000 and up to $20,000 to the organization. Last year, Old Style’s contribution went toward the EMWQ Fund’s annual donation, which assisted CFD families in everything from basic daily needs (food, electricity, etc. ), to paying off bills, to starting college funds and more. Meanwhile, in Los Angeles, two firefighters collaborated to create a premium line of handcrafted ales and lagers that would quench their thirsts after an exhausting day on the firelines. Fireman’s Brew: Redhead (Amber Ale; 5.5 percent ABV). In addition, the company is committed to giving back to the firefighter community upon which it was founded by donating a portion of company net income to the National Fallen Firefighters Foundation — the nation’s leading non-profit organization dedicated to honoring fallen firefighters and providing assistance to their surviving families. 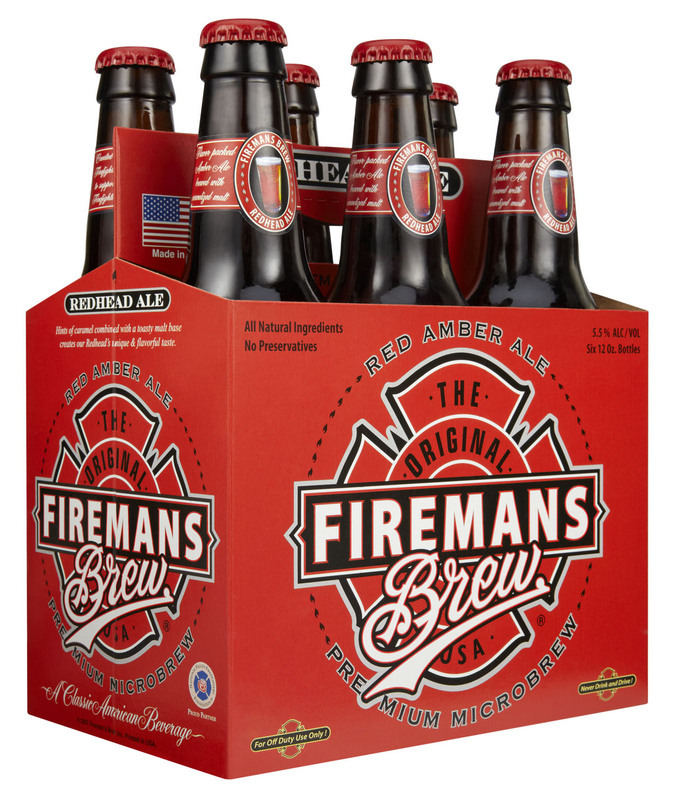 “We are working hard to build Fireman’s Brew into a national brand,” said Rob Nowaczyk, founder of Fireman’s Brew. Already one of the fastest growing craft beer brands in its home state of California, the brewery recently announced an expansion to West Virginia increasing its distribution to 14 states including: California, Arizona, Nevada, Colorado, Nebraska, Oklahoma, Illinois, Ohio, Kansas, Virginia, New York, Michigan, Hawaii and West Virginia.